Entry Criteria: Safety and loss control executives, ship operating managers, ship superintendents, safety and quality managers, senior shipboard officers, training faculty, company training officer, auditors, etc. 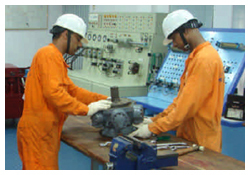 Quality requirements presently is available in the form of ISO standards, ISM code and various other codes. All these programs required a follow-up and maintenance to ensure their effectiveness. Auditing is one such measurement tool. 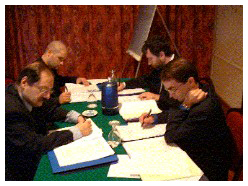 Internal auditing is a management element which is very powerful if used in the proper way. Used in the wrong way it can cause damage to the system. This course clarifies how to go about the internal audit effectively. 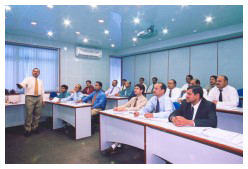 The course is developed by DNV and Anglo-Eastern Maritime Training Centre is the only organization who is authorized to run the course on DNV's behalf. The human element in the audit process. Lecture, Buzz Groups, Discussion, Group Work, Project Work, Exercises. 2.Passport, CDC, COC & INDOS No. details.